Next post: Sand your shuttles! Samples for the wedding dress fabric. 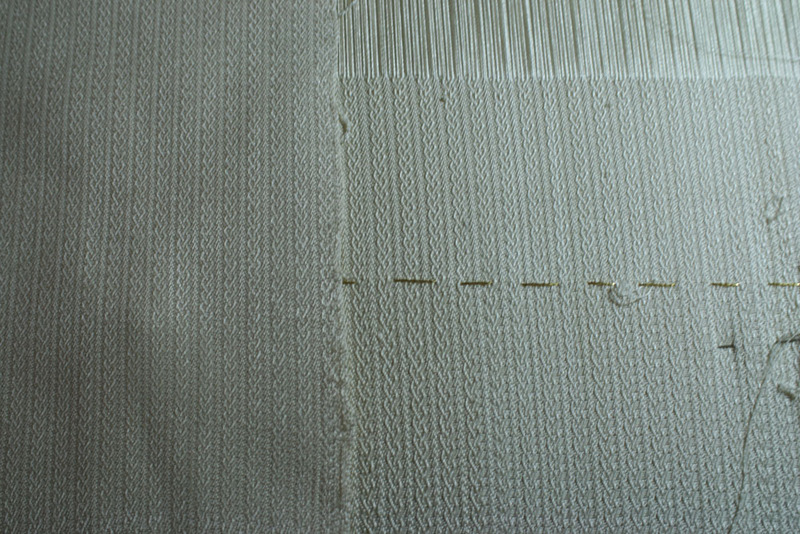 On the left, the original sample; right top (above gold line), sample using 140/2 silk as weft; right bottom (below gold line), sample using 60/2 silk as weft. As an added bonus, using 140/2 silk as weft will make the fabric thinner, which is a good thing considering that I was worrying about it being too thick/hot.Â A double win!